At times, it seems that Moslems and Christians have no common ground. Yet, there is one who can bring us together--Mary, our Blessed Mother. Mary is greatly loved by both Muslims and Catholics. There are differences in our devotions to her, but Bishop Fulton Sheen once stated that he believed it would be through Mary that one day the Moslems would convert to Christianity. It is perhaps through Our Lady of Fatima that this hope is most likely. The Virgin Mary plays a very significant role in Islam. They do not believe as we do, that Mary is the Mother of God through her motherhood of Jesus, but they share many Catholic teachings. Mary’s name appears more times in the Koran than in the New Testament. Of the Koran’s 114 chapters, Mary is among the eight people who have a chapter named after them. The nineteenth chapter is named “Mariam” which means Mary in Arabic. Mary is considered ever-virgin and the only woman mentioned by name in the Koran. Muslims believe that she is without sin. The Hadith—book of Islamic tradition—teaches that there are only two that Satan never touched at birth--Jesus and Mary. The Koran contains verses on the Annunciation, Visitation, and Nativity. Fatima, the daughter of Mohammed, was also revered by him. But after her death Mohammed wrote: "Thou shalt be the most blessed of all women in Paradise, after Mary." While other Christian religions either totally ignore or minimize Mary’s role in salvation, Catholics and Moslems share a great love and reverence for the mother of our Lord, Jesus Christ. The fact that Mary appeared at Fatima, Portugal, a Catholic town bearing this revered Muslim name, (named for a Muslim princess) is a great sign for our times. The town of Fatima is in central Portugal. The Apostle James evangelized Portugal in the early centuries. Historical records show that at least since 656 A.D., the nation of Portugal has had a devotion to Mary under the title of the Immaculate Conception. Portugal was invaded by the Moors (Moslems) in 711. Under King Alfonso Henriques (1128-1185) Portugal gained her independence. As King, he placed Portugal under the protection of Mary, naming her “Protectress and Mother of all the Portuguese.” Afterwards, Mary’s queenship was proclaimed by a succession of kings. Around midday, they prayed the Rosary, as was their habit after lunch. 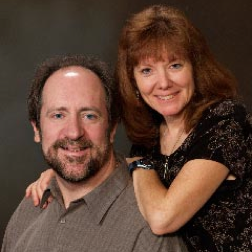 A flash of light in the sky made them think lightening was warning of an impending storm. Instead, there was another flash and then a beautiful Lady appeared, brighter than the sun and holding a rosary. She explained to the children: “I am the Lady of the Rosary” and told them to pray, do penance, and to make sacrifices to save sinners. She invited the children to return to the Cove of Iria during the next five consecutive months on the thirteenth at the very same hour. 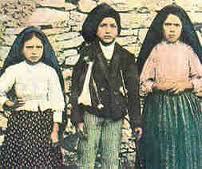 As word of the children’s visions spread, thousands began to flock to Fatima in the ensuing months. In the last apparition on October 13, Our Lady had promised a miracle so that all would believe. A crowd estimated at 70,000—including many newspaper reporters and skeptics--came from all over in the pouring rain to the Cova da Iria. What took place became known as "Miracle of the Sun". It had rained all day until the appointed time. Then, the steady rain suddenly ceased. 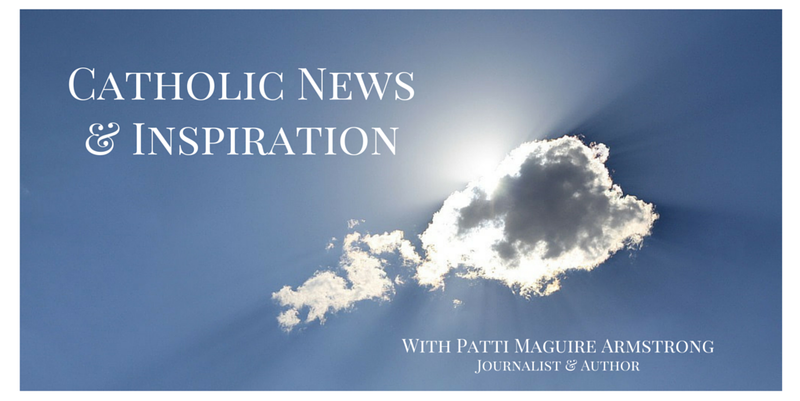 The sun swirled in the sky and great shafts of color flooded the entire plateau of Fatima. After several minutes, the sun returned to its place in the sky. At that point, people were astonished to realize that their soaked clothing and everything around them had completely dried in spite of being soaked just moments earlier. Many secular newspapers testified to these events with eyewitness reports and photographs of the great crowd. Every time Our Lady appeared to the three shepherd children, she asked them to pray the rosary and do penance for our sins and sins throughout the world. It is a plan to reunite us in friendship with Christ and bring peace to the world. Our Lady also told Lucia that she promised to assist at the hour of death with all the graces necessary for salvation all those who, on the first Saturday of five consecutive months, go to Confession and receive Holy Communion, recite five decades of the Rosary and keep her company for a quarter of an hour while mediating on the mysteries of the Rosary with the intention of making reparation for sins in the world. Years later, Pope John Paul II credited Our Lady of Fatima with saving him from the assassin’s bullet on May 13, 1981. Before a crowd of 20,000 in St. Peter’s Square at the Vatican, a Turkish citizen, Mehmet Ali Agca, fired four bullets at the pope from about 15 feet away. John Paul II reflected: "Agca knew how to shoot, and he certainly shot to kill. Yet it was as if someone was guiding and deflecting that bullet." That someone, John Paul believed, was the Lady of Fatima. "Could I forget that the event in St. Peter’s Square took place on the day and at the hour when (of) the first appearance of the Mother of Christ at Fatima in Portugal? For in everything that happened to me on that very day, I felt that extraordinary motherly protection and care, which turned out to be stronger than the deadly bullet" (Memory and Identity pp. 159, 163). Fatima is a Catholic devotion yet, there is an uncanny connection to Islam. The village of Fatima was given the Islamic name of the well-loved Moslem Princess from the nearby Castle of Ourem who stayed behind and converted to Catholicism. She was named Fatima, like many other Moslem girls in honor of Mohammad’s daughter. She was baptized in 1158 with the Christian name of Ouereana but died at an early age after marrying the Count of Ourem. “It is our belief that this [conversion] will happen not through the direct teachings of Christianity, but through a summoning of the Moslems to a veneration of the Mother of God. “This brings us to our second point: namely, why the Blessed Mother, in the 20th century, should have revealed herself in the significant little village of Fatima, so that to all future generations she would be known as Our Lady of Fatima. Since nothing ever happens out of Heaven except with a finesse of all details, I believe that the Blessed Virgin chose to be known as Our Lady of Fatima as a pledge and a sign of hope to the Moslem people, and as an assurance that they, who show her so much respect, will one day accept her divine Son too. The messages of Our Lady of Fatima continue to be relevant today. 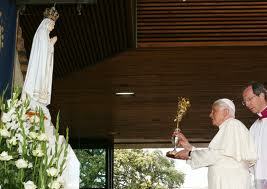 In view of the increasing terrorism inflicted in the modern world, Our Lady of Fatima is a powerful intercessor. She is the bridge that can bring us together. Patti I was at a Fatima conference on Long Island and a Muslim man came to me asking questions about Our Lady of Fatima whom he called St Fatima. He had her statue in his home and had a devotion to her. By the end of the conference, he was being prayed over by the priest and converted! Our Lady brought her son Mohammed to her Son Jesus! Wow, what an amazing story! Thanks for sharing, Leticia. Which is Worst Kind of Catholic?